A little over a year ago, a good friend of mine casually mentioned over sushi that he can’t wait to have magnets installed in his fingertips. He said he wants to pick up silverware just by touching it. At first, I thought the statement was pure fantasy — the kind of harebrained idea this particular friend has become known for in our circle. 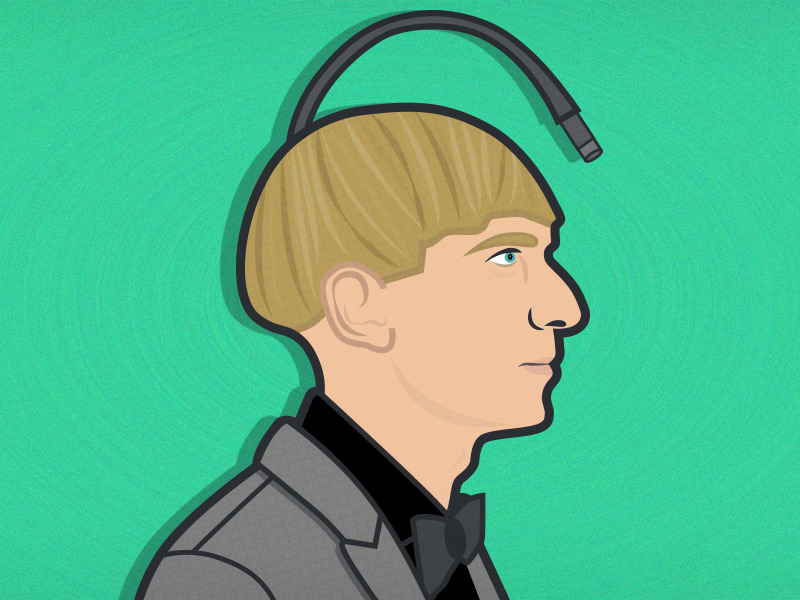 Then, a couple months later, I talked to Neil Harbisson, and suddenly the idea seemed less crazy. Harbisson is a 32-year-old cyborg. Twelve years ago, he had an antenna surgically implanted into his skull, which picks up nearby light waves and converts them into sound. For Harbisson, who was born colorblind, the antenna allows him to “hear” colour. “If we want to surive for thousands or hundreds of thousands of years, we need to change our bodies,” Harbisson says. We need to adapt to interact more intimately with our surroundings. I believe Harbisson when he makes these far-reaching claims, as I did last year when we spoke. Humans’ relationship to technology is growing more intimate by the microsecond. Eventually — Harbisson suspects within the next 10 to 15 years — part-human, part-machine “cyborgs” will become the norm. When Harbisson and I spoke, he talked about the Internet as a “bodily sense.” In the same way we taste food and feel textures to interact with the world, Harbisson believes humans will use the Internet to understand the world through information and data. In reality, this already happens. When we want to know something, we Google it. We outsource our brainpower to the Internet. In Harbisson’s case, the internet lets him “perceive” sunrises sent from Australia. He “hears” the colours of the sunrise and the image is right there in his brain, creating the sensation that he’s actually there. For the general population, cyborgism represents the logical next step in the evolution of tech’s role in our lives. What’s the difference between a fitness-tracking wristband and a microchip that performs the same function, but lives just a few millimetres deeper, underneath your skin? The idea may still violate some people’s ideas of personhood, but new technologies always make the majority of people uncomfortable at first. In 1551, Swiss scientist Conrad Gessner panicked that humanity would suffocate from the information overload brought on by the printing press. In his 1909 book “Are the Dead Alive?” author Fremont Rider questioned whether the voices people were hearing over the phone were actually ghosts. Up until recently, if you used a hands-free device to talk on the phone, you looked a little crazy. Soon, chip implants will seem normal, too. Listen below to the latest episode of Codebreaker, and subscribe on iTunes or wherever you get your podcasts.